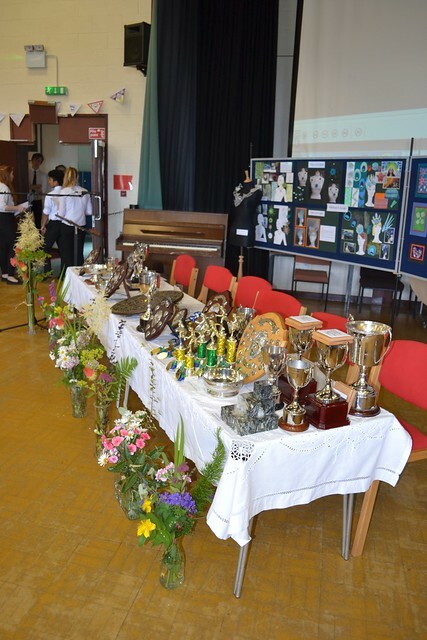 Prizegiving – This annual recognition of success took place on Wednesday 29th June. List of Individual Trophies & Prizes 2016 here. Click on the image above to see lots of photos from the event. Many awards were presented and successes were recognised at the event. The Pipe Band started the show and C for Craic played. More can be read on the website and photos are also available. As Prizegiving drew to a close presentations were made to Miss Thistlethwaite on her departure, Mrs Port for her support of the school, most recently by helping during the S1 Cairngorm Residential week, and finally to Mr Port as a result of his departure as Headteacher this summer. In his farewell speech Mr Port commended the hard work of the pupils, staff, parents and partners for the benefit and success of all pupils. He spoke about the good relationships at all levels within the school and how this promoted learning, citizenship and success at personal, local and national level. Mr Port told the assembled audience how much his time at Gairloch meant to him and wished everyone well, thanking all staff (past and present) for their support over eleven years. Mr Port gave special thanks to Mr Hulme (Depute Head), who had worked closely with him throughout, and praised his commitment to the school in recent years particularly during Mr Port’s medical absences. Mr Port also thanked the other members of the SMT, Dr Caley and Mr Milner. Finally Mr Port wished all the pupils well including the new Head Girl and Boy, promising to keep an eye on all as they continued through school. We were grateful for the blessing of Rev Alasdair MacLeod. Coincidently Rev MacLeod is also retiring and everyone in the school community wished him well for the future. Dr Caley, with the assistance of others, has to be thanked once again for organising a successful and enjoyable Prizegiving! Senior Prefects – See all the details of appointments here. 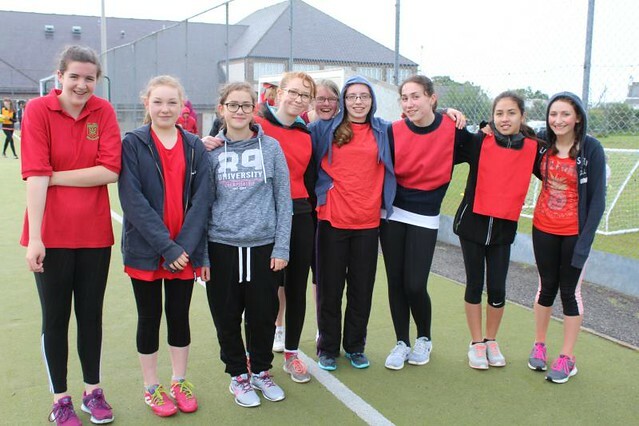 Overall House competition for sports day – 1st Kerry with 346 points, Tollaidh 2nd with 325 points and Maree 3rd with 313 points. See all the details and view the photos here. Staffing – We have a Probationer Teacher in English joining us for a year in August. Miss Victoria Fordham is newly qualified and we hope she enjoys her year at Gairloch. She will no doubt add to the energy and enthusiasm already present in the English Department! Former Pupil Success – Read here about former Head Girl and Dux, Anna Hulme. Click here to find out about Ruairdhri Wright, former Head Boy the same year as Anna. 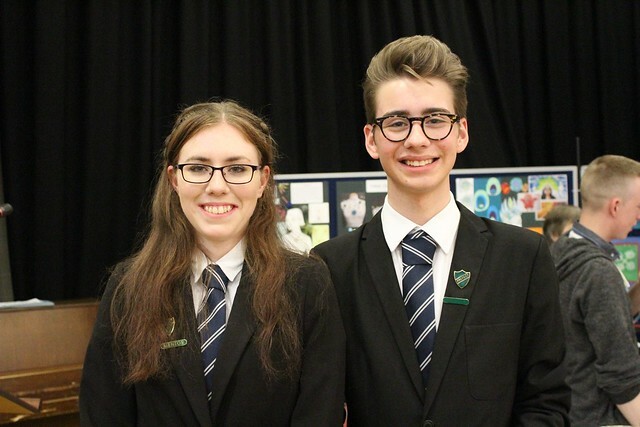 Well-done to Anna and Ruairdhri! If you have information about the progress of any other former pupil please alert the school by email, website or telephone so that we can inspire the current pupils with the possible futures that might be available to them. Malawi Partnership – Following the very successful visit of a group of pupils and teachers from our partner school in Malawi to Gairloch in August 2015, we are now in the early stages of planning the next visit to Malawi. It is hoped that a group of 8 pupils, together with 3 or 4 teachers, will be able to visit Mlozi School in October 2017. We have greatly appreciated the interest and support of the community over the past 8 years of the partnership and look forward to your continued support as we prepare for this next venture. Read about our partnership here of visit Facebook. 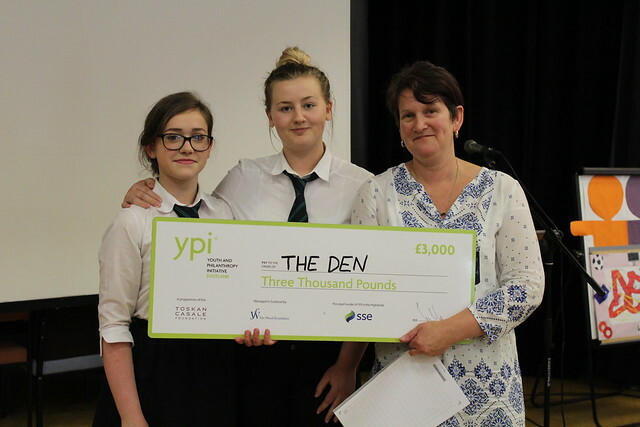 The Den YPI – S3 pupil Scarlet Pickering writes – The Youth Philanthropy initiative has been a project for S3’s in Gairloch High School for 2 years running. The class split into groups and each group represented a local charity. This year the charities were: Advocacy Highland, The Den, Poolewe Swimming Pool, The Archie Foundation, The Gale Center and the Museum. These 6 groups would be competing for a grant of £3000 for their chosen charity. 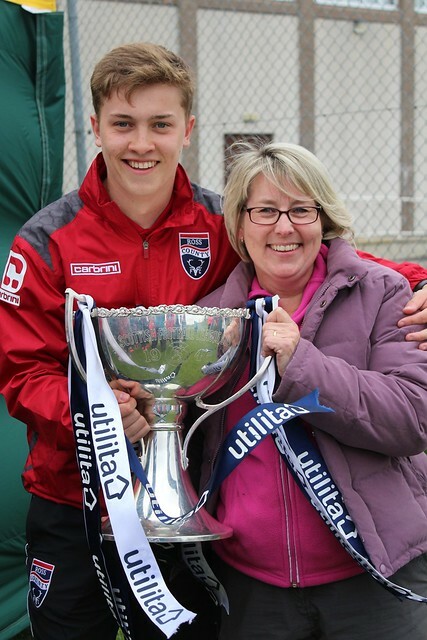 This year, the Den received the £3000 grant. I know I can speak for all of the groups by saying it was a scary experience, but well worthwhile as we all did extremely well. A lot of this was down to Ms Velt making sure we were organised, so we thank her for that! This was definitely a learning experience for all of us, but a great one at that. It gave us an opportunity to make a big difference for a charity in need! Art Competition – Nadia Fenton won first prize in the S1-3 category of the Scottish Government’s design competition for which she had to design a poster showing her vision for farming of the future. Read more here. End of Term Football – Our annual end of term football competition took place on the last day of term. This is primarily a fun event with a little bit of competition thrown in. Read more here and view the photos. Thanks to all the staff who made this event possible.